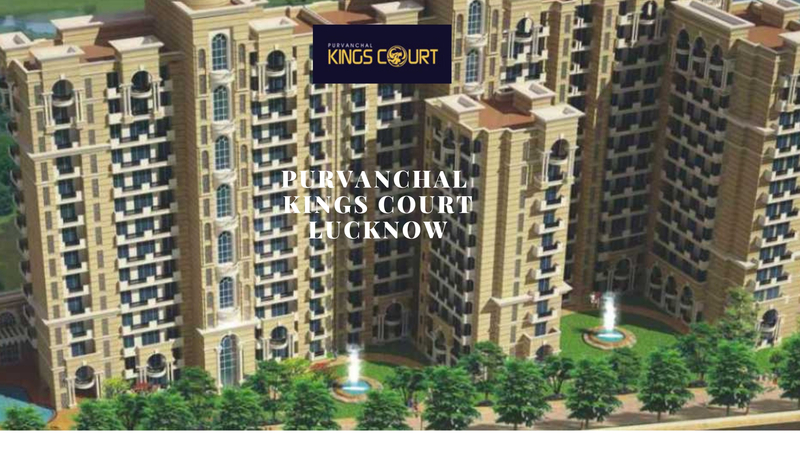 On offer is Purvanchal Kings Court, a premium residential project where the homes are high on aesthetics and design,coming up in the historic city of Lucknow in India. This landmark apartments projects is located in the prime upscale area of Gomti Nagar in Lucknow and have spacious 3 and 4 BHK apartments of sizes ranging from 2105 sq. ft. to 3110 sq. ft.
Grand and spectacular in every way, the modern and stylish condominiums have boulevards lined with greenery, landscaped parks, chic areas as sit-outs, enchanting water bodies, and Wi-Fi connection zones. Residents can enjoy the comfort and pampering with comfort are features like high technology security with video surveillance, 24-hour water supply, and 24-hour power back-up. The developers, Purvanchal Projects Pvt. 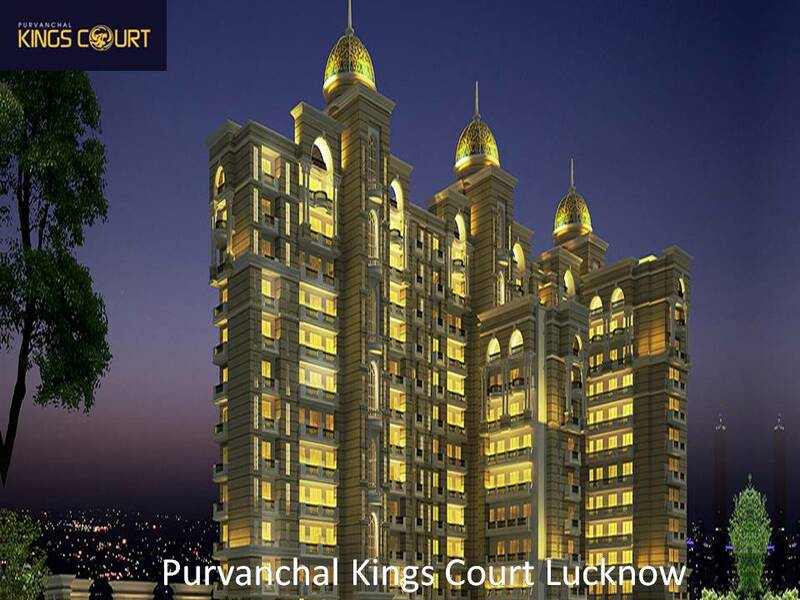 Ltd. will ensure a royal life full of style at Purvanchal Kings Court Lucknow with world-class amenities for leisure such as a swimming pool with chic decks, gymnasium, steam, sauna, and Jacuzzi. For outdoor fitness and well-being are numerous indoor & outdoor sports facilities,special areas for kids and senior citizens, and multipurpose halls. The spacious apartments have lavish and contemporary Interiors with high-end floorings (including Italian marble, vitrified tiles and wood), modular kitchens, UPBC/powder coated aluminum windows and anti-skid flooring for washrooms, balconies & kitchens.Take living to an all new level of technology would be high-speed optical fibers for the internet and video door phones for the utmost safety of the loved ones. A serene environment along with ample work opportunities have made Lucknow an ideal city to settle down in and thus driving the realty prices toincrease multifold. The location of Purvanchal Kings Court Vinamra Khand is optimal as it is close to important places like Vinamra Khand and Gomti Nagar. Other popular places close by are old campus of Amity institute, Singapore Mall, Lucknow Public School, Sahara Hospital, and CID Headquarters.Other popular hospitals, malls, shopping centers, schools, and restaurants are in close vicinity. One can use the efficient public transport system for an easy and stress-free commute. 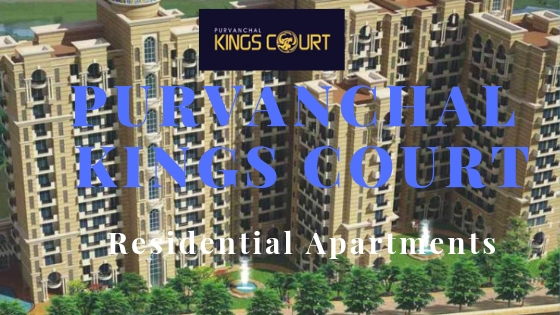 The Purvanchal Kings Court price ranges from Rs. 1.12 crores to Rs. 1.65 crores. Experience extravagant and royal living in the lap of luxury here!